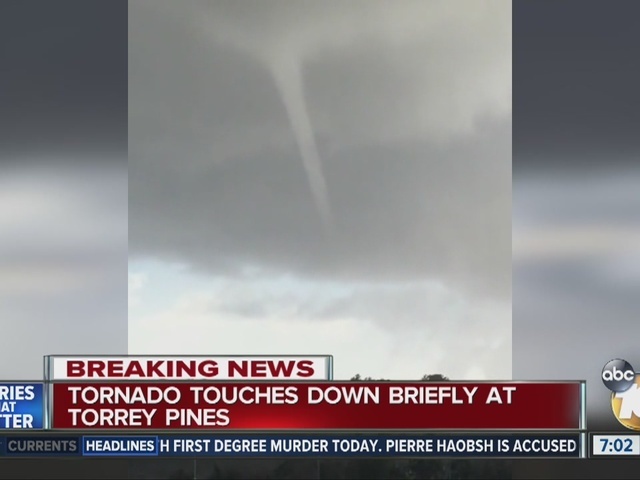 A waterspout spotted off of Torrey Pines touched land as a tornado, 10News confirms. 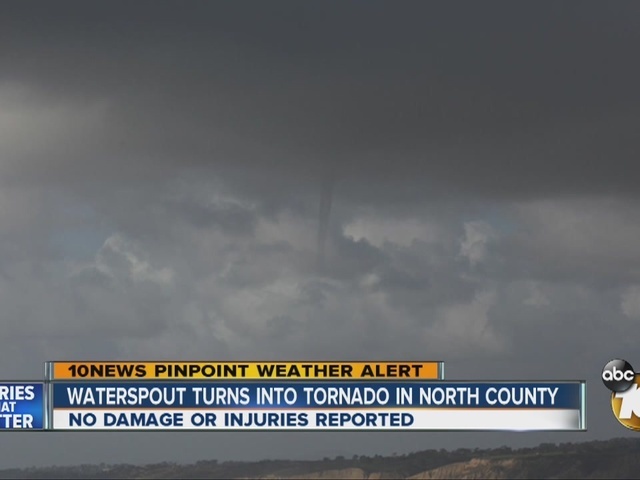 Lifeguards reported the waterspout one mile offshore of Blacks Beach at 5:35 p.m. The waterspout moved east and made landfall as a weak tornado at 5:38 p.m. just north of the Gliderport. It then dissipated. Many people captured the rare weather event and posted their pictures and photos on social media.